5. Adjustable Height: 13 1/2" to 17"
1. Platen Press: 12" x 15"
Harmless to the cloth, convenient to clean, and provide attractive appearance. 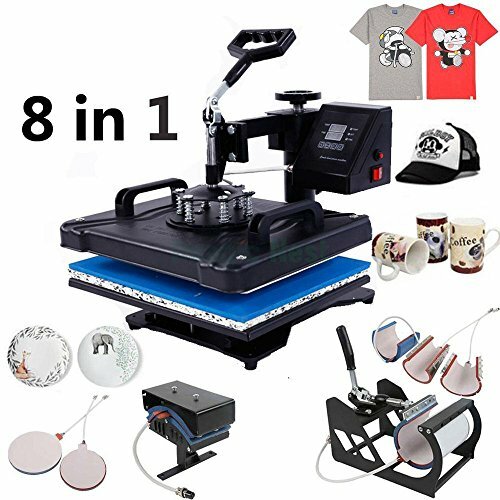 Temperature Range: 32 - 450℉ (0 - 232℃ ), Wattage: 1250W_Rhinestone heat press perfectly;Adjustable Height: 13 1/2" to 17"
If you have any questions about this product by Z ZTDM, contact us by completing and submitting the form below. If you are looking for a specif part number, please include it with your message.